if the venting is logically unsound and inane it will be pointed out it is logically unsound and inane. if you want to whine in an echo chamber a public forum is not the place. maybe try a private forum or a discord. 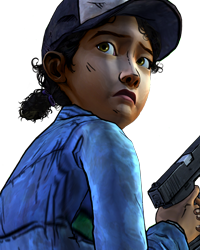 I had a few fun discussions about interpretations of Clementine or the legendary "Kenny vs Jane" debates. Ah season two brought us together in so many ways. bad management and expensive licensing costs pretty much damned them from the onset. it was only a matter of time. Unfortunately, yes. I paid money for it, so I'll be finishing it up whether it is episode 2 or episode 4. I am undeniably upset, but these things happen.